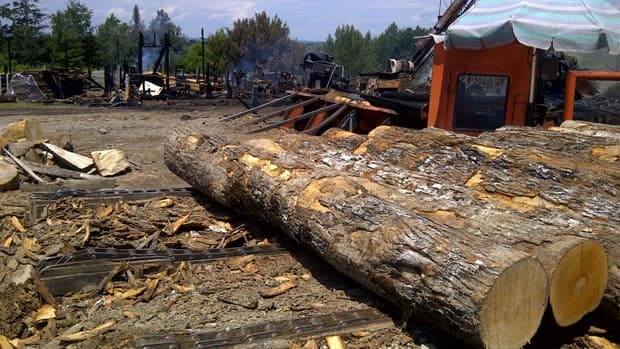 Sawmills in B.C.’s Interior were warned wood dust was an explosive risk before two deadly sawmill explosions earlier this year, in which wood dust is suspected as a factor. But the advice took a back seat to concern that dust was harmful to workers’ lungs. In thousands of pages of 2007 to 2011 WorkSafeBC inspection reports, obtained by The Vancouver Sun under a freedom of information request, wood dust was highlighted as a concern nearly 100 times, primarily as a health risk and possible carcinogen. After a two-week shutdown to investigate the source of a methane gas leak, Lakeland Mills pwill restart its planer mill and the district energy system on Tuesday. Already reeling from the April sawmill explosion and fire which killed two mill workers and left 23 others injured, Lakeland shut down its planer operations last Friday as a precaution when a test hole found unacceptably high levels of methane at the northeast corner of the mill site. A lumber mill in Woodstock, N.B., burned to the ground overnight Friday. Firefighters say the building was struck by lightning. Doug Jamieson was at home about seven kilometres away from the mill when his house shook. “I ran out on the deck,” he said. “My dad called me and said a lightning bolt hit the mill.” Not long after, Jamieson said he could clearly see the building was on fire. He called the mill owner and drove to the scene. Gunns Ltd says it is reviewing the value of its forestry assets in the light of declining prices in the woodchip market. The timber group said its asset value review included the Tasmanian Forest Estate, which comprises 200,000 hectares of hardwood plantations. “As part of the asset value analysis, the company has been analysing the impact of the recent substantial decline in stumpage prices achieved in the current woodchip market,” Gunns said in a statement. Timber company Gunns’ prolonged share trading halt has triggered fears it will never trade again. Vancouver Island forestry mills increased their harmful greenhouse-gas emissions between 2009 and 2010 as production levels recovered, according to the latest federal statistics. But environment watchdogs say the pulp and paper industry is nevertheless making significant progress in reducing air pollution. …”It think it’s an open question whether they (pulp mills) will rise to the challenge going forward, but compared to other sectors in the country they’ve done pretty well,” said Matt Horne, director of climate change with Pembina Institute. A proposed 1% additional sales tax on selected lumber products that was part of Governor Jerry Brown’s attempt to close a state budget gap has been dropped, much to the relief of California LBM dealers. The tax pitted retail lumber sellers against lumber producers by shifting fees the timber industry currently pays to its customers. The 1% tax would have been used to fund the regulatory activities of four state agencies involved in reviewing and monitoring timber harvest plans that are required for all private and public timber cutting. Currently, those costs are paid by the landowners and from state general fund expenditures. Portland International Jetport in Portland, Maine has secured LEED Gold certification from the US Green Building Council for its $77 million expansion, which was completed in late 2011. …The design of the new terminal roots its inspiration to the natural beauty and resources of Maine. The terminal has extensively used timber, which is a rare element in airport architecture. The facility was built to embrace several sustainable elements, which consist of natural daylighting, FSC-certified glue laminated structural timbers, and low-maintenance, polished concrete floors. The German Federation of the Wood-Based Panels Industry (VHI) commissioned the Institute for Construction and Environment (IBU) to develop an environmental product declaration (EPD) for raw and laminated as well as tubular particleboard in the past few months. 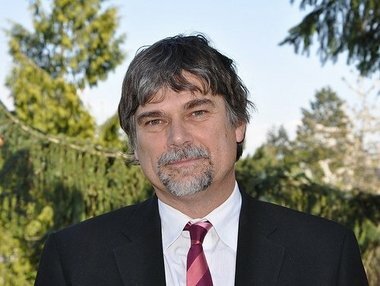 SEATTLE, WA — The global pulp market is mired in uncertainty: uncertainty when China will move into buying mode, uncertainty about where the European economy is heading and uncertainty if low spot prices for softwood market pulp will push pulp mills in Europe and North America to take market-related downtime. In this environment, pulp mills are trying to squeeze their costs to remain competitive and to be able to run at full capacity. Accsys Technologies, the producer of high technology wood Accoya, has entered into a licence agreement with Rhodia Acetow, an unit of Solvay-Rhodia, the multinational chemicals and plastics conglomerate, for its production and sale across Europe. The licence grants Rhodia the exclusive rights for a 15 year period for Rhodia to produce and sell Accoya to over 40 European countries except the UK, Ireland and Benelux. …Accoya is a high performance acetylated wood product and the result of over 80 years’ research and development, said a statement from Accsys Technologies. Last year there were 3,379 in-school youth apprentices registered with the Industry Training Authority (ITA), the province’s Crown Corporation responsible for the funding and monitoring of trades training in British Columbia. That’s significant in a province where the youth unemployment is almost three times the rate of other working-age groups. But slightly fewer than half of the province’s apprentices are under 25. With baby boomers aging out at a faster rate than apprentices are coming in, a lot is riding on the ITA’s ability to attract anybody, young or old, into the trades. The ITA is facing a lot of criticism regarding its ability to do just that. A Douglas fir tree found by two residents during a hike through the Roberts Creek back roads could be the oldest on the Sunshine Coast. Ross Muirhead and Rick O’Neill said they discovered the giant fir tree while investigating a gravel pit operation in the area. Their measurements showed the tree to have a circumference of approximately eight metres. According to the province’s registry of big trees, the widest Douglas fir in British Columbia measures some 13.3 metres in diameter. Muirhead and O’Neill’s measurements would place the Coastal specimen half a metre narrower than number 10 on that list, the Meech Creek Giant of south Coquitlam. This issue, a supportive case study touting the benefits of community forests, a look at the historical silvicultural practices pertaining to black spruce in Ontario and it’s implications for caribou habitat, further consideration of the success of the civilian conservation corps, from a nursery perspective in addition to our regular Forest Heatlh, Safety and Regional columns. Jim Lopez, President and CEO of Tembec and president of the Forest Products Association of Canada, joins Andrew Bell on Commodities to talk about the work his company is doing with CPAW to help protect Ontario’s caribou while securing the timber to keep jobs and factories running in the Abitibi River Forest. Three large forest fires continued to spread in Wyoming on Monday as crews faced erratic winds and explosive fuel conditions. The Squirrel Creek Fire, burning about 30 miles southwest of Laramie, had burned about 7,000 acres by Monday morning. The fire has forced the evacuation of an unknown number of area residents. Aaron Voos, spokesman for the U.S. Forest Service, said Monday the Squirrel Creek Fire was active Sunday night and was likely to grow substantially larger. Regional forest conservation groups have released a new study showing how logging volume on federal lands in the Northwest could grow 44 percent if certain ecological criteria are followed. The report, Ecologically Appropriate Restoration Thinning in the Northwest Forest Plan Area, projects that annual timber cutting could grow from the recent 537 million board feet up to 774 million board feet, via thinning of mostly small-diameter trees. If followed, the plan could increase logging and related jobs by 2,700, backers estimate. Environmentalists say they’re out to protect endangered species, watersheds and human habitations in forested areas but their critics counter by saying they’re making a flammable situation worse. …Damage from the Little Bear Fire could have been reduced if a proposed Forest Service thinning project had not been delayed by an appeal from two environmental groups, a Forest Service official said Tuesday. The U.S. Forest Service has made forest thinning one of its top priorities, particularly in fire-prone and unhealthy dry forests. But environmental groups say dense Douglas fir plantations on the wet side of the Cascades need to be thinned too. And that could help increase the lumber supply. Dan Segotta, the U.S. Forest Service’s timber operations manager in the Siuslaw, says these woods were clear-cut in 1965, and then densely replanted. 20 years ago, forest managers in the Siuslaw began a thinning experiment on the site. They left this stand alone to serve as an experimental control. COLORADO SPRINGS, Colo. — The deadly crash of a military cargo plane fighting a South Dakota wildfire forced officials to ground seven other Air Force air tankers, removing critical firefighting aircraft from the skies during one of the busiest and most destructive wildfire seasons ever to hit the West. The C-130 from an Air National Guard wing based in Charlotte, N.C., was carrying a crew of six and fighting a 6.5-square-mile blaze in the Black Hills of South Dakota when it crashed Sunday, killing at least one crew member and injuring others. ALBUQUERQUE, N.M. — Inside university laboratories and government research facilities across the country, scientists are playing with dozens of variables — mixing and matching and rearranging — to gain a better understanding of what makes wildfire go. …The experts all agree: The dry conditions and strong winds are driving this year’s super fires. So what happens when researchers add to their formulas the devastation caused during the last 15 years by an epidemic of hungry bark beetles? The tiny insects have turned more than 40 million acres of the nation’s forests into an unsightly patchwork of red and gray death. Thomas Maness, a forest economist who specializes in developing forest management policies that balance timber production with ecosystem protection, has been named dean of the College of Forestry at Oregon State University. Maness has been a professor and head of OSU’s Department of Forest Engineering, Resources and Management since 2009. He succeeds Hal Salwasser, who earlier this year announced his decision to step down as dean. Maness will begin his new job Aug. 1. Local ecologists and park officials are concerned about Sudden Oak Death, a spreading fungus that has already infested as much as 70,000 acres of forest throughout the county, according to an article in this week’s Argus Courier. Sudden Oak Death strikes by attacking a tree’s living tissue and cutting off its water supply. Symptoms of the disease may have been spotted at Petaluma’s Helen Putnam Park, where some trees are oozing a dark, think substance typical of the disease, according to the story. PHOENIX — Secretary of the Interior Ken Salazar tells 92.3 KTAR there have been larger wildfires in the past but hundreds of homes have been lost in Colorado and New Mexico largely because of population growth in the past 20 years. “The difference is we’re now seeing these fires come closer where people now live. Much of that growth has taken place in wildland areas, which means more homes and people are exposed to danger,” he said. SUMMIT COUNTY — Even as firefighters gain control of the large and destructive fires in Colorado, large wildfires continue to burn around the West, including Wyoming, where the Arapaho Fire, on the Medicine Bow National Forest and Thunder Basin National Grassland, blew up to 75,000 acres Sunday. The fire, between Casper and Laramie, has destroyed an undetermined number of structures and burned so fiercely Sunday that it created its own weather. Firefighters focused on structure protection in the Harris Park subdivision to try prevent additional damage to residential areas. WASHINGTON — Snow hardly fell during winter in snowy Colorado. On top of that, the state’s soaking spring rains did not come. So it was no wonder that normally emerald landscapes were parched as summer approached, tan as a pair of worn khakis. All the earth needed was a spark. Colorado and U.S. Forest Service firefighters are battling the state’s most destructive wildfires ever. Lightning and suspected arson ignited them four weeks ago, but scientists and federal officials say the table was set by a culprit that will probably contribute to bigger and more frequent wildfires for years to come: climate change. State foresters have frozen 10 recent and upcoming timber sales on close to 800 acres of state land as they prepare for a legal battle with conservation groups over the threatened marbled murrelet. That battle will center on whether or not the state’s increased logging goals in the coastal Elliott, Tillamook and Clatsop state forests illegally harm, under the federal Endangered Species Act, the natural habitat of the murrelet — a rare seabird that lays its eggs on the large and mossy branches of primarily old growth trees. CONDON – Swan Lake District Ranger Rich Kehr stared with disbelief at a healthy, restored wetland and uttered what would become a familiar refrain on a recent sun-soaked afternoon in the Swan Valley. “Normally, we just wouldn’t have any money to do this,” he said. For the past 2 1/2 years, an unlikely coalition of tree huggers and timbermen, state and federal land managers, conservationists, local outfitters and valley residents has been quietly working on a flurry of restoration projects on the Flathead National Forest. Forestry Commission experts are taking to the air to fight a deadly disease that is killing larch trees. The Commission flights, across Northumberland and County Durham, are part of a nationwide attack on Phytophthora ramorum. Teams of experts take hundreds of aerial images of the regions’ woodland for signs of the pathogen infection. New research from researchers based at two German research institutes predicts that large parts of Africa’s savannahs may well be forests by the time the year 2100 comes round. 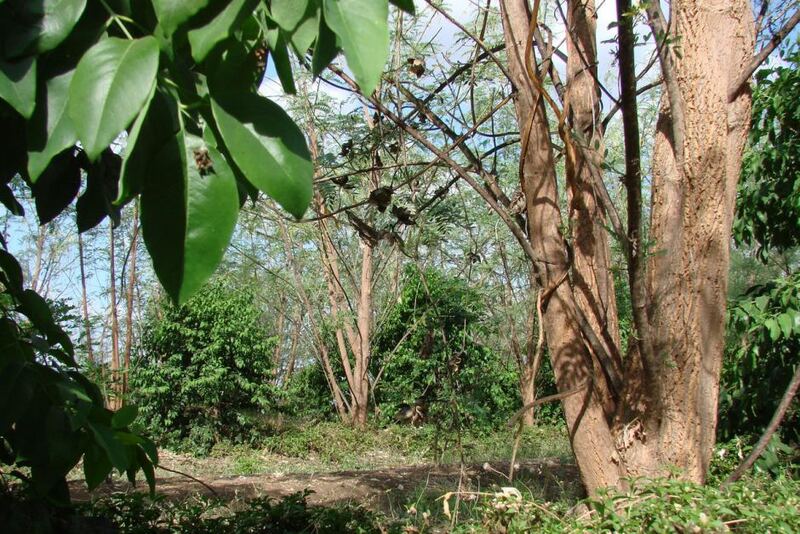 Writing in the journal Nature, Steven Higgins from the Goethe University Frankfurt and Simon Scheiter from the Biodiversity and Climate Research Centre in Frankfurt suggest that fertilisation by atmospheric carbon dioxide is leading to major increases in tree cover throughout Africa. Grasses and trees differ fundamentally in their response to temperature, CO2 supply and fire, and continually struggle for dominance in savannahs. Sandalwood trees may give Eyre Peninsula and west coast farmers in South Australia an alternative crop during drought. A demonstration site at Ceduna is proving successful. Paul Hodges is with the project and points out the threatened species was once abundant on upper Eyre Peninsula. He said sandalwood trees grown in Western Australia were in high demand in Asia. Some building owners simply do not have both the time and resources to apply for a green building certification. This should not stop them from assessing the green performance of their building. Fortunately, there is an assessment system that is simple, practical and convenient to use: the Green Globes system. By using Green Globes, building owners can obtain accurate information about their buildings at once. …Today, the Green Globes system is one of the more popular certification systems both in the US and Canada. In the USA, it is operated by the Green Building Initiative (GBI), while in Canada, it is known under the brand name BOMA Best. The Government has confirmed it will continue to exclude agricultural emissions from the Emissions Trading Scheme until at least 2015. Federated Farmers’ climate change spokesperson William Rolleston says it lobbied hard on some issues the Government appears to have taken heed of and there are no surprises for farmers. “Pushing out the introduction of agriculture to 2015 is fundamental and critical to agriculture’s future prosperity.” Foresters also welcome the decision to keep compensation in place for pre-1990 forest owners who do not use the off-setting option. But the Forest Owners Association still has reservations about other aspects of the Government’s ETS plans. Forest biomass for energy is an essential component to meet the national climate targets set by all European countries. Therefore, the efficient and reliable supply of forest biomass from the forest to the end user is essential. The dissertation applied a three-dimensional approach that investigated biomass supply structures from a technical, social, and economic viewpoint in different countries across Europe. By having this understanding of the different dimensions it is possible to develop holistic solutions that support and improve operational efficiency, not only at individual stages, but that are applicable to the entire supply chain structures. ETS changes don’t address carbon flood. Forest owners say the government appears to be unconcerned about the tide of European carbon credits flooding onto the New Zealand market. “Their decision to honour the commitment to pay compensation to owners of pre-1990 forests for the liabilities they will face if they ever change their land-use is very welcome. But today’s announcements will not stimulate the new carbon-absorbing forestry planting the country needs,” says FOA chief executive David Rhodes.